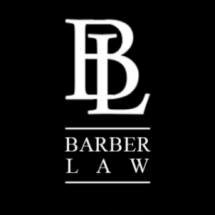 Barber Law represents individuals and families of Kentucky who have been injured, need assistance with family law matters, or criminal defense representation. Our team of attorneys understands that the moments in life are crucial and it is important to act quickly. Our law office offers free initial consultations, where we listen closely to the circumstances surrounding the situation. We then answer questions and explore legal options with the goal of finding the best fit for each client. Throughout Kentucky, our law office helps those who have been placed in an unfortunate situation. Our attorneys are client-centered and give each case the attention and focus it deserves. With a thorough knowledge of state and federal laws, we leave no stone unturned when it comes to investigating the details of the matter at hand. The attorneys at Barber Law work hard to ease the legal process for our valued clients, with every member of our team truly dedicated to ensuring client satisfaction. In addition to other forms of payment, our law office happily accepts credit cards as a convenience to our clients. Furthermore, our attorneys are members of prestigious organizations, which helps them stay current in the legal field.